All of a sudden, the world is infatuated with foldable phones. They’re the newest solution to the problem we all have: we want bigger screens on smaller phones. Other solutions have been tried, and now everyone is talking about foldables. I blame the HBO program Westworld. We want something that unfolds to the size of a full sheet of paper but is small and thin enough to carry in a pocket. It seems incredibly plausible when you look at it on the TV show, so it makes sense that we would want it. 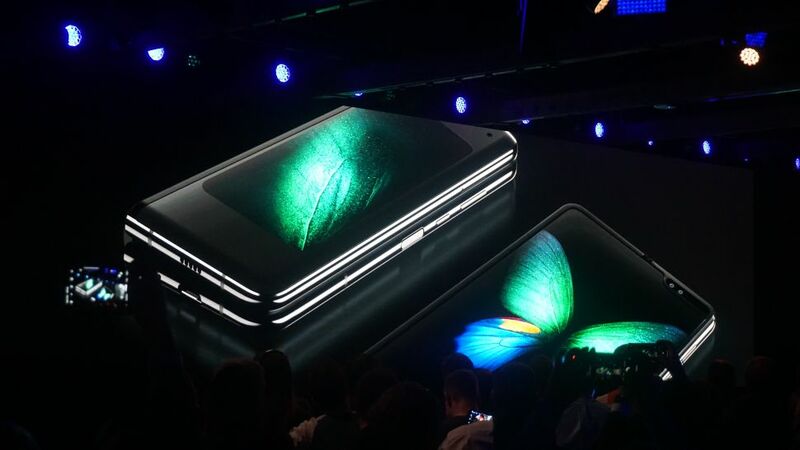 This is Samsung’s new Galaxy Fold. Putting aside for a moment that it’s $2,500, it’s just not the same as that Westworld tablet. It’s close to twice the thickness of most phones and it’s still a fairly small screen when it’s open. When it’s closed it has an almost hilariously small screen. At least it’s better than the folding phone shown at CES (and at the top of this article) which is made by a company you’ve never heard of. Regardless of who makes it, this phone has “not ready for prime time” written all over it. It’s possible that folding phones will be real some day but so far they don’t look good or work well. Why can’t we have the Westworld phone? For now, there are a lot of problems that need to be solved. While we have flexible displays, we don’t truly have foldable displays. To make that sharp, creased fold would mean the display would have to come close to breaking apart. That may be possible in the future, but it’s not possible now. Or, more precisely, you could fold the display… unfolding it and having it work is another matter. FORECAST: Will you have a foldable phone? I am super-confident in saying that you’re not going to buy a foldable phone unless you’re super-rich. The technology is in a very early state, the phones are probably not really durable, and unless you can heat your home by burning $1 bills it’s not in the cards for you. 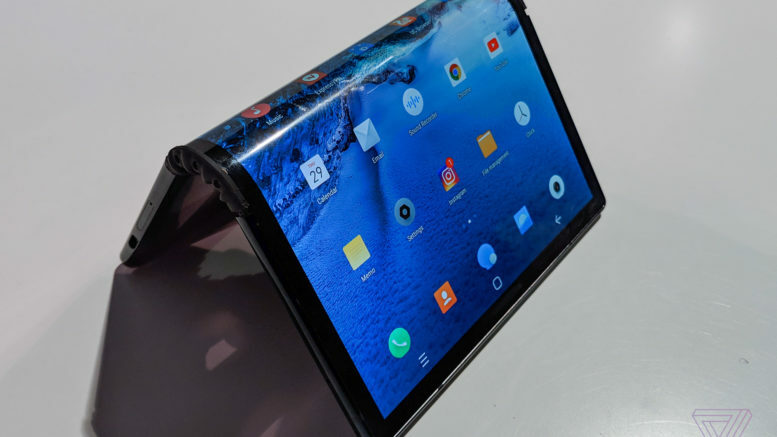 So far nothing I’ve seen in the market today tells me we’re even close to foldable phones, not the kind we want. The technology probably has promise but the reality of what we want is going to have to wait. Solving the battery problem is going to be the first step. There are plans to make solid-state batteries which could be less than one-quarter the size of today’s batteries and more durable. That could cut the size of a phone down a lot. 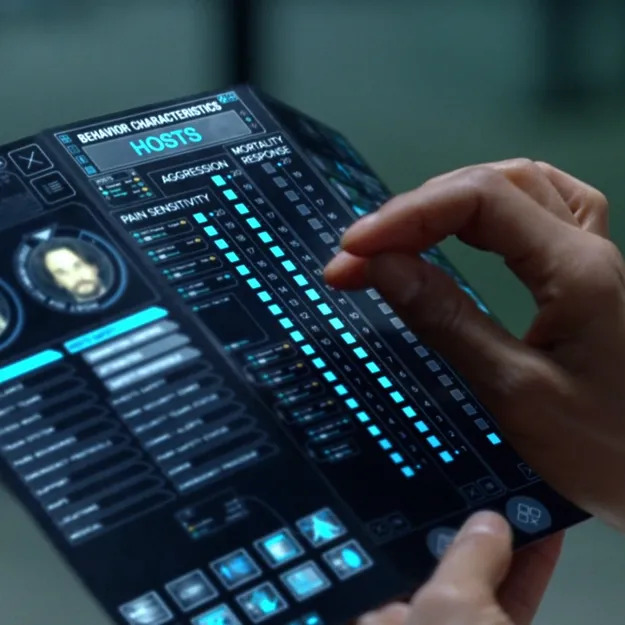 Then, figure out how to make a truly foldable display and you’re in business. But if I had to guess, I think we’ll see this technology about 2025-2027 if we’re lucky. I hope that rolling out this tech today won’t sour people on it. There was a trend a few years ago of putting tiny projectors in phones. I thought this was a great idea but the execution was poor. They took too much power, drained your phone’s battery, and the image was too dim. The technology faded away quickly, although I think it could have flourished. Combine advances in LED efficiency, better lenses and computer image correction, and perhaps a gestural system like the old Xbox Kinect, and you could have had a giant screen that you could interact with. Instead, the tech bombed in the marketplace and you can’t find it today. Hopefully foldable technology won’t suffer the same fate. Perhaps it will go away for a while the way that virtual reality did, only to come back strong when the technology supports it.